One of the coolest product-branded community sites I've seen, so far. 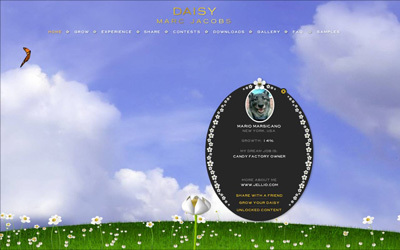 Daisy Marc Jacobs lets you care for your daisy by watering, feeding, etc, in the form of games and profile updates. When you reach certain levels of growth, you unlock downloads. Really beautiful layout, although I think I may have seen it before.